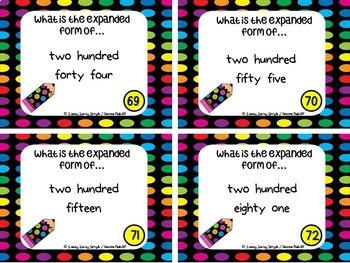 This set includes 84 Expanded Form Task Cards with answer key. 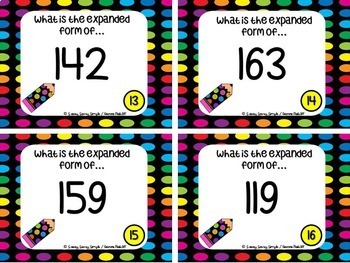 Simply print, (back if you want), laminate & use! 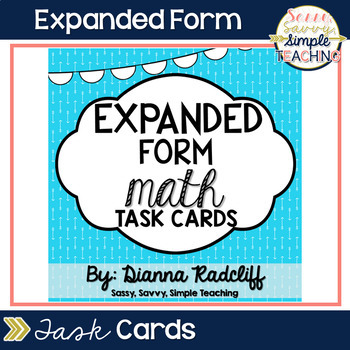 Students can simply use their math journal or a regular sheet of paper as a recording piece. 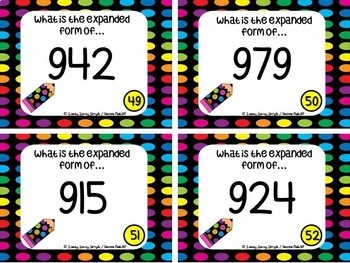 Place in a Math Station, use as independent work, an informal assessment or a game!